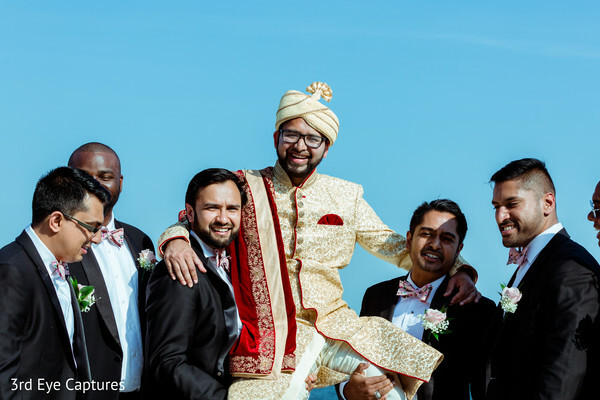 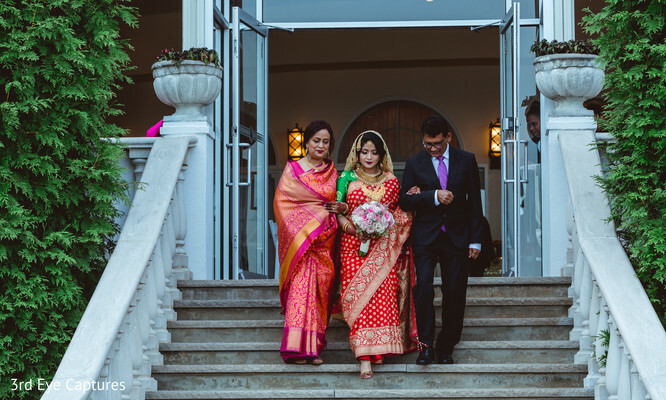 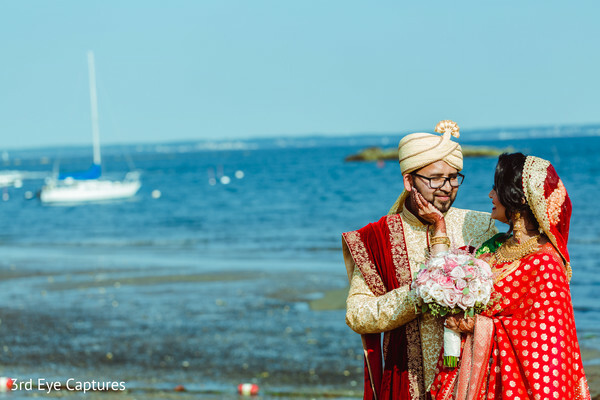 Parisa and Mohamed planned their charming nuptials with the experts from House of Dipali, and I must say that their hard work totally paid off! 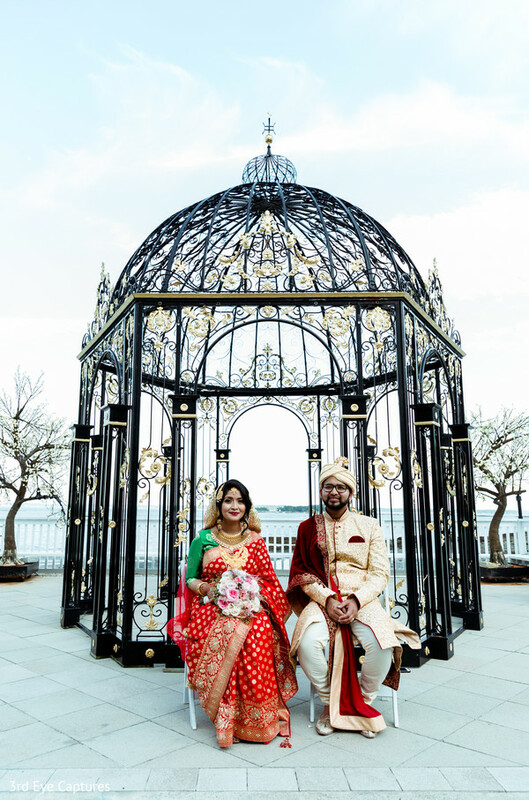 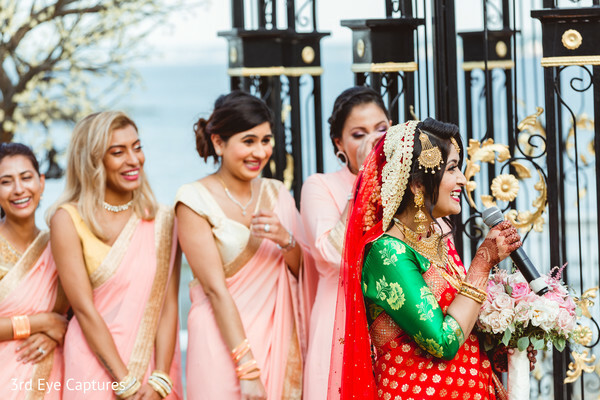 The magnificent iron gazebo and the blue waters of Long Island Sound were the perfect frame for our cute pair to hold a traditional Muslim ceremony that took place at a beachfront veranda. 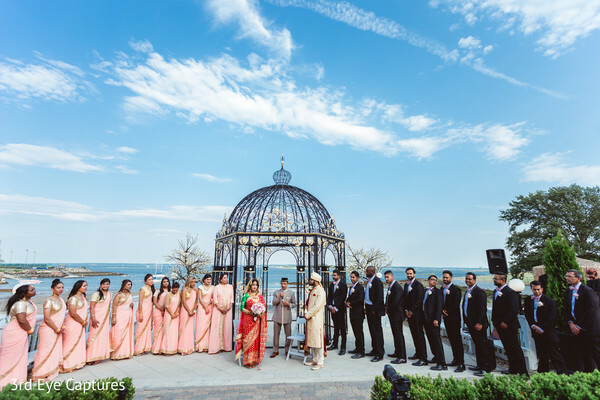 3rd Eye Captures snapped the heart-warming portraits of the newlyweds and their squads on this gorgeous nautical backdrop. 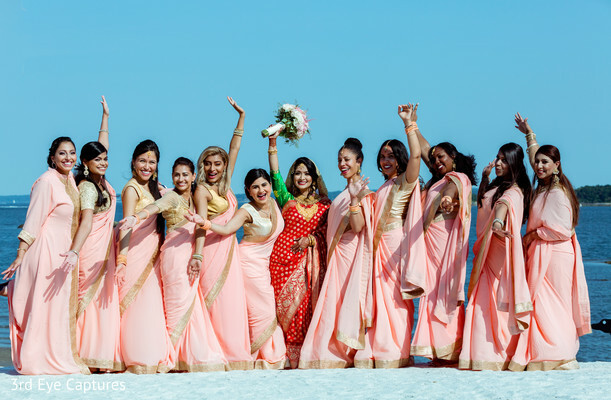 The lovely ladies looked flawless for the camera in light pink sarees and the dapper groomsmen donned graceful floral pattern bow ties that gave them a charming and modern feel! 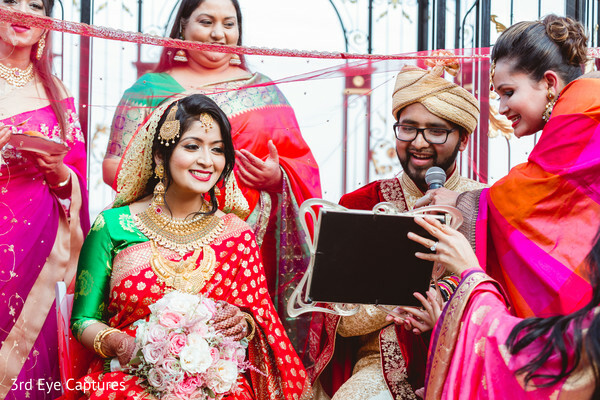 Maharani Parisa looked delightful in a bold red and green color combo saree that she completed with a beautiful red dupatta and a heavy set of gold jewelry! 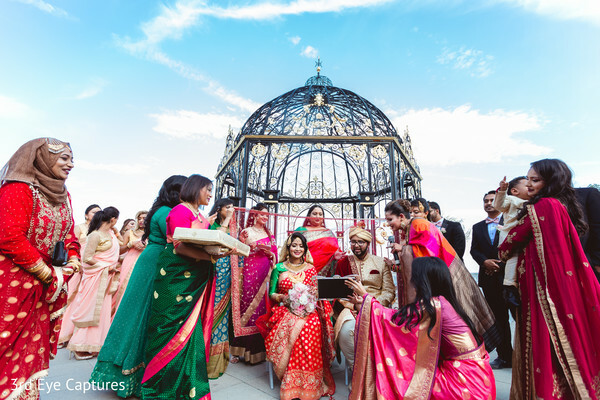 Enjoy the wonderful outdoor ceremony and signifying moments in our full gallery! 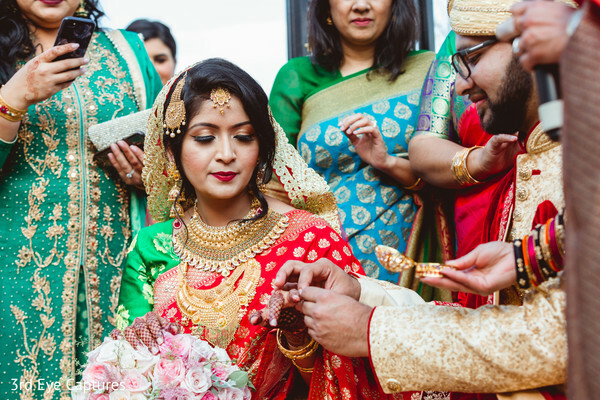 Maharanis soon-to-be-wed, don’t miss our following editorial posts for more inspiring ideas for your own big day!